The aviation industry is constantly striving to improve the way it works. To this end, it has begun using artificial intelligence (AI). Though the aviation industry is still in the early stage of AI adoption, some progress has already been made, as some leading carriers, training centers and aircraft manufacturers have started to invest in AI. One of the main spheres where the aviation sector is constantly trying to improve is pilot training. It’s not a surprise to anybody that teaching a future pilot is a long and intensive process, with ground school and certification tests. According to industry experts, AI is going to improve the pilot training process. But how? 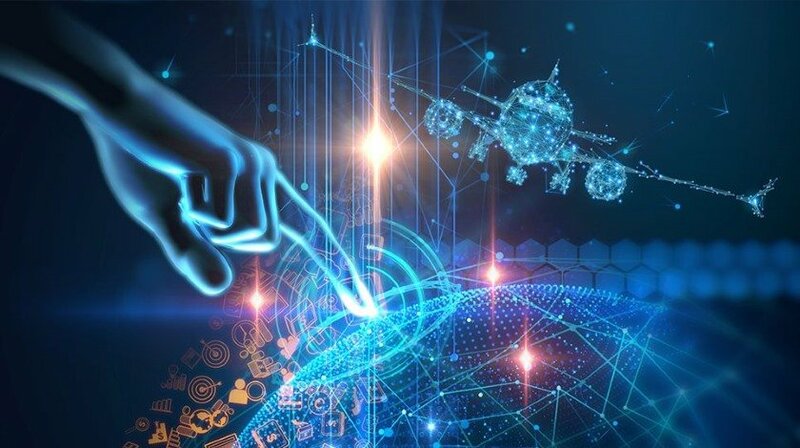 If you are interested in aviation, you might have heard some of the theories, how AI adoption will bring a brighter future to every pilot. According to industry experts, artificial intelligence will allow pilots to have even more realistic simulations by giving pilots a full visual range with augmented reality. A computer with implemented AI will not only collect all the training data but is also going to record pilot behaviour during the training. All the data gathered during the training will be used for improving autopilots. It really seems like artificial intelligence can do wonders in aviation and this is not just a theory or someone’s opinion. An interesting fact is that one pilot training center has invested $1 billion in digital innovation (including AI implementation) of pilot training systems. The new training system, called „Rise“, assesses pilot skills from live data during the training process and rates pilot progress. Automation of training processes could allow pilots to train more according to standards and less to instructor’s subjectivity. Another adopter of AI is The US Air Force, which has already implemented AI technologies to train its pilots. As it was stated in the Air Force Times, the US Air Force has launched the „Pilot Training Next” program to try to find a new way to teach airmen, using advanced biometrics, artificial intelligence, and virtual reality systems in their simulators. Such AI-run simulators replay real missions in order to help students to better understand errors made and to correct those mistakes. Furthermore, even more missions could be potentially performed in less time. AI implementations allow the US Air Force to train more aviators each year by creating a faster and more effective way to teach and train them. After all, the implementation of emerging technologies is meant to decrease the time and cost of training without sacrificing the depth of learning. Assisting pilots is another important feature, which could be improved with the help of AI. Theoretically, AI could give pilots more situational awareness and decrease their time spent to manage instruments. It could also allow pilots to communicate faster with other crew members during a flight. Once again, this is not just a theory, as „Garmin”, the company specialising in GPS technology, has already introduced „Telligence”. It’s a product designed to reduce pilot workload and make the flight experience more enjoyable. „Telligence” allows pilots to talk with the aircraft – configure cockpit communications using simple voice commands. This product is already certified and available to install today. Another major invention is AI implementation in DARPA’s ALIAS (Aircrew Labour-in-Cockpit Automation System). ALIAS is a humanoid machine that takes the physical place of the human. It’s a robotic arm which takes the co-pilot’s seat, pushes and pulls on the controls. Such system could increase the level of automation in aircraft and enable flight operations with a reduced on-board crew. ALIAS also aims to support the entire mission from the take-off to the landing. The vision of ALIAS is to allow the pilot to become more of a mission manager. “There’s no point denying that the autopilot does most of the work,” one pilot told the Telegraph. “On a regular flight, the autopilot does around 90 percent of the flying.” On the other hand, there are some sophisticated autopilot programs on the market which could change the way how pilots work. Again, it’s Garmin, with their ESP (Electronic Stability and Protection) system. The software continuously monitors an aircraft’s altitude and, by using the autopilot, puts the aircraft back to its safe position (if angle or altitude is wrong). A pilot can also ask ESP to show the nearest airport or indicate the current weather conditions. Artificial Intelligence has a tremendous potential to revolutionize the aviation industry. Even though the AI implementation process is only in the early stage, huge progress has already been made. Unfortunately, there is one major reason stopping AI implementation from spreading further in aviation – regulation which moves much more slowly than technology. Due to the high safety level needed in aviation, extensive testing and certifications have to be carried out. However, the future of AI in the aviation industry is bright, as most of the tests are now carried out with drones. Using drones allows to test all the new technologies safely before fitting them into a real aircraft.